World War II impacted men, women and children in untold number of ways. When the U.S. entered the war after Pearl Harbor, life as folks knew it was over. One of the many ways it changed women’s lives was to redefine their roles in the workplace. 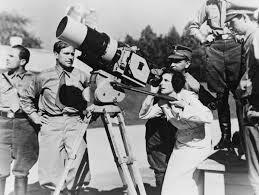 During World War I, the “war to end all wars,” women took positions vacated by men serving in combat. When the conflict was over they returned to their homes and readjusted to lives as wives and mothers. If statistics and reports are to be believed, they were happy to do so. Less than twenty-five years later, women again took jobs available because of departing service men. However, this time many of the women fought for the opportunity to keep their jobs when the hostilities ceased and the men came home. They also fought for the opportunity to join unions and receive equal pay for equal work. women attended college and earned degrees, but there was limited access to jobs in which they could apply the degree. Thanks to WWII, employees (read men) with higher education were overseas fighting. Therefore, employers turned to degreed women to fill their needs. They were pleasantly surprised to discover the women were more than qualified to get the job done. 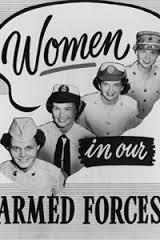 The third way the war changed women’s lives was the chance to join the military and military auxiliary services. Women were generally not allowed in combat situations, but some jobs took them close to the front, such as the Army and Navy medical corps. I have always had a career. Even before I left college with a Bachelor’s degree in Psychology, I knew I wanted a job that would challenge and excite me, a job for which I would be paid an equitable salary. I don’t think I would have had that if it weren’t for those women who went before me to pave the way. Is there a special woman in your life who paved the way for you?